Last month, the Center for American Progress submitted comments to the Consumer Financial Protection Bureau regarding its proposed rule on defining larger participants in the automobile financing market. Read the full comment letter here. Auto finance is the third-largest household credit market in the country, after mortgages and student loans. Other than bank accounts, vehicles are Americans’ most common asset, with roughly 86 percent of families owning at least one vehicle. After housing, transportation is often the second-largest expense that families face. Most consumers who buy cars need to finance at least part of their purchaserather than buying it outright—85 percent of new car purchases and 54 percent of used car purchases involve financing. But much of this financing is not through banks and credit unions. Instead, “captives”—the finance arms of automobile manufacturers—or other nonbank finance companies hold 42 percent of outstanding car loans. Leasing has also grown as an alternative approach to acquiring a car. The share of leases in the new car market has doubled since 2009. While many banks and credit unions are now subject to regulation by the Consumer Financial Protection Bureau, or CFPB, car leasing and financing through nonbank channels have historically been less regulated. The CFPB has proposed a rule that would bring these financial activities under its purview by defining auto financing entities that make 10,000 or more vehicle loans or leases each year as “larger market participants” and also by defining auto leasing as a financial product subject to regulation. The CFPB estimates that these changes would cover 91 percent of all car purchases and leases—a dramatic increase given the large role nonbanks play in this market. This proposed rule marks a major step forward for comprehensive and consistent consumer protection in the auto finance market. Recent media accounts have shed light on aspects of auto financing that are particularly harmful to consumers, such as remote “starter interrupt” devices that lenders can use to disable cars if payments are even a few days late—a punishment virtually unheard of among other financial products such as mortgages and credit cards. And this market frequently lacks transparency for prospective buyers. Borrowers of color often pay higher interest rates than their white counterparts even if they have similar credit scores and attempt to negotiate with the dealer. Meanwhile, leasing has the potential for hidden fees at both the beginning and the end of a lease agreement. To ensure that the new rule is truly comprehensive, the CFPB’s threshold of at least 10,000 loans or leases made annually should include the total number of originations across a firm’s affiliates so that lenders cannot artificially reduce the number of loans made by a single entity in order to avoid CFPB oversight. Recognizing that loans may often change hands from one firm to another, the origination threshold should also include transferred loans—such as loans that the lender acquires, purchases, or refinances—as part of a firm’s overall loan volume. As part of the proposed rule, the CFPB also asks whether auto title lending should be considered part of the auto finance market. Legal in 21 states, auto title lending is a form of short-term, high-cost credit in which consumers hand over their car title and a spare set of keys in exchange for cash. Borrowers risk losing their cars if they are unable to keep up with payments. 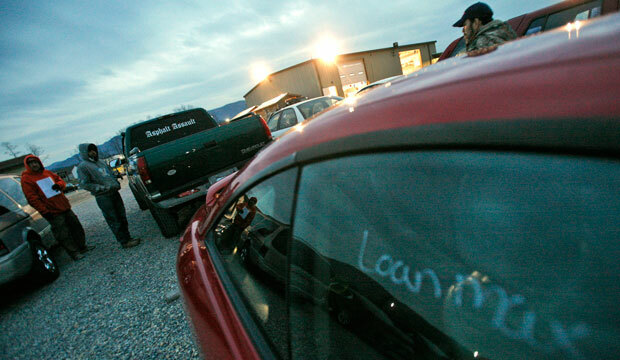 Texas saw 35,000 cars repossessed for unpaid title loans in 2012, and 17,000 were repossessed in Virginia in 2013. This market is quite distinct from the auto finance market and should be treated separately. However, the CFPB should consider regulating auto title loans in the future given the potential harm these loans cause. By recognizing the significant role of nonbanks in the auto finance market, the CFPB’s proposed rule would expand consumer protections in an area of the financial marketplace that has often been left behind. Joe Valenti is the Director of Asset Building at the Center for American Progress.